The world needs more tolerance and understanding, and this will only be achieved when different cultures interact with each other. Chatting with locals will help you to understand their way of life, and what is important to them. In some countries, it is normal to invite strangers into their homes for a meal, which is something most English people would never consider doing. Try to pick up a phrase or two of their language, as well as making the effort to speak to them in their own tongue, as this is always appreciated. In fact, there are traditions and customs worth knowing about when travelling that will also contribute to a friendlier interaction with the locals. It needn’t take you a long time to learn them, but if you are able to communicate politely with them, it will make your interactions better. When you spend time with the locals, you stop being a tourist and become a traveller. This will broaden your horizons and be much more enjoyable than visiting an attraction, buying a souvenir and moving on. Taking the time to learn about the culture and daily life, will enhance your travelling experience. You will have a better understanding of local politics, religions, education and social issues that affect the population of the country you are in. This can contribute to making your travel a much more enjoyable experience. Where children are concerned, they have fewer hang-ups around differences than many adults. You should let your children meet and mix with the local children. Apart from the fact that this can be very educational for them without them realising it, they can also learn new games that the locals play and have great fun. There are many countries where the children do not have the tech that kids in the UK have, and it can be good for your children to see that it is not always needed to enjoy themselves. It is not unusual for children to keep in contact with each other by post, and this can lead to life-long friendships for them. Although every country will have its bars, cafes and restaurants, you should choose to eat where the locals do. This is the only way you can be certain that you will enjoy local foods as they should be, and that can be a wonderful eating experience. 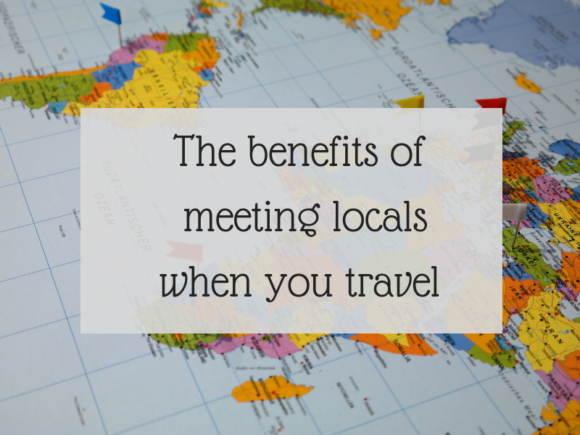 There are some countries where you can spend time living with locals on their farms and in their villages. From their point of view, they enjoy being hospitable, and from yours you will really get to eat and live as they do. In fact, some travellers will tell you that you have not truly experienced a city until you have eaten in the home of a local. There are online resources that can help you to arrange this. You register with them to have an evening meal with a registered local, and spend the evening with them and other locals. There are many countries in the world that celebrate local and cultural occasions. For instance, in Spain as well as many other countries, there is a fiesta somewhere most weekends. These tend to last for a couple of days at least, and everyone is welcome to them. They do not charge for people to attend the fiestas, but hope that you will join in and have some fun. These events tend to overtake a whole village or town, with all the population taking part. Enjoying a fiesta can be a great way to get to know the locals, and they will remember you next time you visit the area. You have to remember that the locals are a very important feature of any country. Although some of them will work in bars and restaurants in the tourist areas, most of them still make their livings in more traditional ways. This can make a vital contribution to the economy of the country, as well as making your travelling even more interesting.